A local community group in Torbay is celebrating a National Lottery Community Fund award of a massive £9,950. 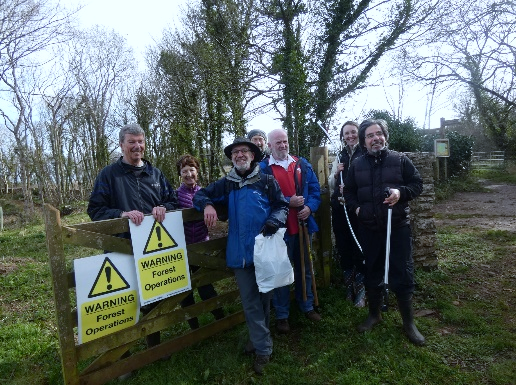 The Community Group, the Friends of Grove Woods at Churston, were thrilled to receive the large contribution from the National Lottery Community Fund. The much needed funds will now go towards the continued restoration of this precious ancient local woodland. Encourage return of wildlife and place species once native to the area. In 2017, large areas of the woodland were cleared due to a significant number of Larch and Sweet Chestnut trees, showed signs of disease and had to be cut down on the advice from The Forestry Commission. However, following this, the Torbay Coast and Countryside Trust (TCCT), managers of the woodland, organised the planting of 4,800 new trees in March 2018. A series of community planting days were organised and funded by the Woodland Trust and a TCCT crowdfunding initiative. Along side the planting of new trees, The Friends of Grove Woods was formed, who continued the restoration of the woodland since February. This year the group has been running active work parties every Saturday. The work parties carry out practical woodland conservation tasks, which has included opening up the rides in a way that will benefit a wide range of animals, plants and insects. Since the beginning of their work, the woodland has shown signs of wildlife returning to the woodland. The large clearing has become a new and extensive foraging area for bats including the greater horseshoe bat and several other species. Butterfly surveys are also being carried out in the area and it was found that 20 different species of butterfly include the white admiral and gorgeous silver-washing fritillary are already thriving in the new habitat. Local organisations including Paignton Zoo, Torbay Council, English Riviera Geopark, The Butterfly Association and more have all helped support Nigel and his team.